The Hampton Inn Columbia hotel has received the Hampton Inn*s Circle of Excellence Award. Our hotel is currently ranked 15 out of all Hampton Inns nationwide. The Hampton Inn I-70 Columbia hotel is conveniently located at Exit 128A off Missouri Interstate 70 at the intersection of Highway 63 and is central to everything Columbia has to offer. The University of Missouri downtown Columbia Columbia Regional Airport and Columbia Regional Hospital are all just minutes from the hotel. Other area attractions near our Columbia I-70 Hampton Inn include the Boone County Fairgrounds Columbia Mall Finger Lakes State Park art galleries museums and nature and fitness trails. Restaurants within walking distance of this Missouri hotel include Cracker Barrel Golden Corral Burger King KFC Pizza Hut Taco Bell China Garden Ski Hi Bar - Grill and McDonald*s. The Columbia Missouri Hampton Inn on I-70 features 121 amenity-filled hotel rooms that include a coffeemaker refrigerator hair dryer iron and ironing board as well as complimentary high-speed Internet access and a 27-inch cable TV with HBO and Encore premium movie channels. 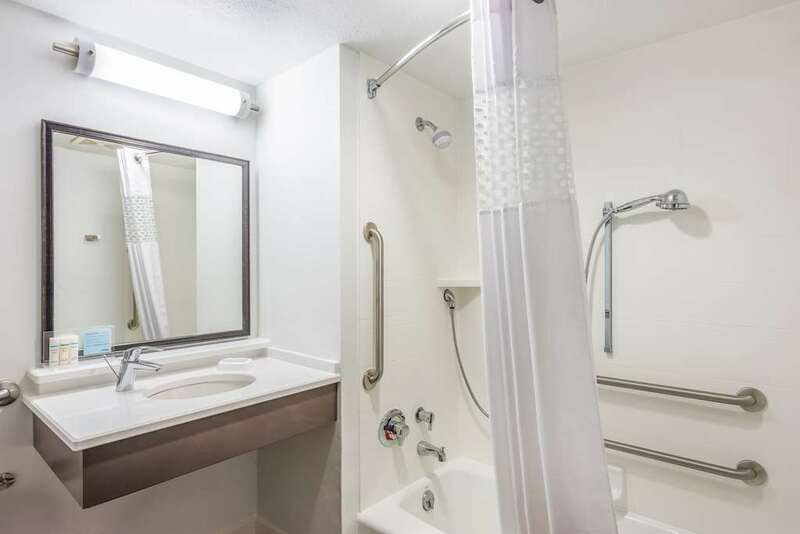 Hotel guests can request rooms with a whirlpool a king bed or two double beds as well as connecting rooms and cribs. Sure to please the busy executive or leisure traveler to Missouri Hampton Inn Columbia I-70 hotel guests will enjoy complimentary On the House hot breakfast buffet served daily an exercise room located on the lobby level an indoor pool and whirlpool and an outdoor sun deck. Be sure to enjoy our complimentary freshly baked cookies each evening and coffee and tea in the hotel lobby 24 hours a day. We love having you here at the Hampton Inn Columbia.